A smartphone (or smart phone) is a mobile phone with more advanced computing capability and connectivity than basic feature phones. Smartphones typically include the features of a phone with those of another popular consumer device, such as a personal digital assistant, a media player, a digital camera, and/or a GPS navigation unit. Later smartphones include all of those plus the features of a touchscreen computer, including web browsing, Wi-Fi, 3rd-party apps,motion sensor, mobile payment and 3G. Devices that combined telephony and computing were first conceptualized by Theodore G. Paraskevakos in 1971 and patented in 1973, and were offered for sale beginning in 1993. He was the first to introduce the concepts of intelligence, data processing and visual display screens into telephones which gave rise to the "Smartphone." 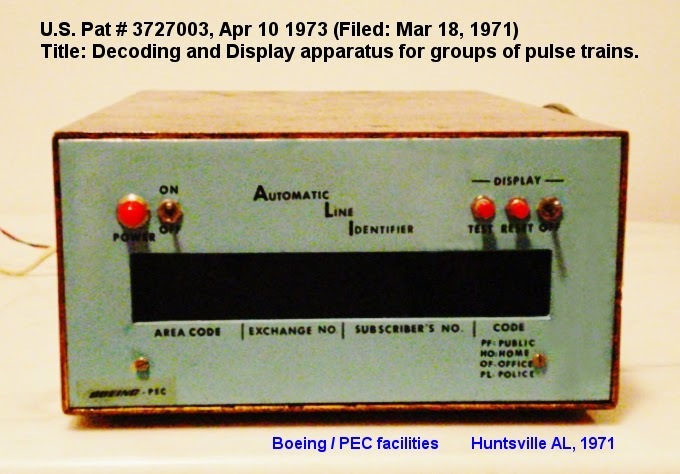 In 1971, Paraskevakos, working with Boeing in Huntsville, Alabama, demonstrated a transmitter and receiver that provided additional ways to communicate with remote equipment, however it did not yet have general purpose PDA applications in a wireless device typical of smartphones. They were installed at Peoples' Telephone Company in Leesburg, Alabama and were demonstrated to several telephone companies. The original and historic working models are still in the possession of Paraskevakos. 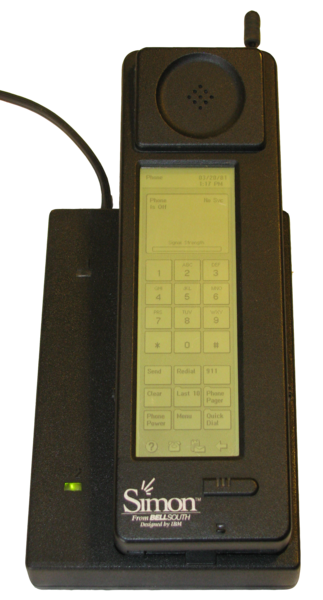 The first mobile phone to incorporate PDA features was an IBM prototype developed in 1992 and demonstrated that year at the COMDEX computer industry trade show. A refined version of the product was marketed to consumers in 1994 by BellSouth under the name Simon Personal Communicator. The Simon was the first cellular device that can be properly referred to as a "smartphone", although it wasn't called a smartphone in 1994. In addition to its ability to make and receive cellular phone calls, Simon was also able to send and receive faxes and e-mails and included several other apps like address book, calendar, appointment scheduler, calculator, world time clock, and note pad through its touch screen display. Simon is the first smartphone to be incorporated with the features of a PDA. The term "smart phone" appeared in print in 1995, for describing AT&T's "PhoneWriter(TM) Communicator" as a "smart phone". In the late 1990s, many mobile phone users carried a separate dedicated PDA device, running early versions of operating systems such as Palm OS, BlackBerry OS orWindows CE/Pocket PC. These operating systems would later evolve into mobile operating systems. In 1996, Nokia released the Nokia 9000 which combined a PDA based on the GEOS V3.0 operating system from Geoworks with a digital cellular phone based on the Nokia 2110. The two devices were fixed together via a hinge in what became known as a clamshell design. When opened, the display was on the inside top surface and with a physical QWERTY keyboard on the bottom. The personal organizer provided e-mail, calendar, address book, calculator and notebook with text-based web browsing, and the ability to send and receive faxes. When the personal organizer was closed, it could be used as a digital cellular phone. In early 2000, the Ericsson R380 was released by Ericsson Mobile Communications, and was the first device marketed as a "smartphone". It combined the functions of a mobile phone and a personal digital assistant (PDA), supported limited web browsing with a resistive touchscreen utilizing a stylus. Smartphones before Android, iOS, and Blackberry, typically ran on Symbian, which was originally developed by Psion. It was the world's most widely used smartphone operating system until Q4 2010. In 1999, the Japanese firm NTT Docomo released the first smartphones to achieve mass adoption within a country. These phones ran on i-mode, which provided data transmission speeds up to 9.6 kbit/s. Unlike future generations of wireless services, NTT Docomo's i-mode used cHTML, a language which restricted some aspects of traditional HTML in favor of increasing data speed for the devices. Limited functionality, small screens and limited bandwidth allowed for phones to maximize the slower data speeds available. Outside of Japan smartphones were still a rare feature, although throughout the mid-2000s, devices based on Microsoft's Windows Mobile started to gain high popularity among businessmen and businesswomen in the U.S. The BlackBerry later gained mass adoption in the U.S., which in 2006 popularized the term CrackBerry due to its addictive nature. The company first released its GSM BlackBerry 6210, BlackBerry 6220, & BlackBerry 6230 devices in 2003. Also released was the Blackberry 7730 which featured a color screen. In 2006 and 2007, both operating systems were in a large lead in the North American market, although while BlackBerry was popular among both business people and young people, Windows Mobile was only popular in the former. In Europe, Windows Mobile was never a large player in the market, and BlackBerry didn't make a notable impact in the market until around 2008. Symbian was the most popular smartphone OS in Europe during the mid and late 2000s. This was largely led by Nokia, which has always been a popular brand outside of North America. Initially Nokia's Symbian devices were focused on business, the same way as Windows Mobile and BlackBerry devices at the time. From 2006 onwards, Nokia started to make entertainment-focused smartphones, which were popularized by the Nseries. The N95, for instance, had breakthrough multimedia features for its time, and marked the start of a broader market of smartphones within younger people, and not just business. In Asia (except Japan), the trend was similar to Europe's. All leaders of the 2000s suffered following the release of the iPhone. Both of these platforms led to the drop of the previous leading companies. Microsoft, for instance, started a new OS from scratch, in the form of Windows Phone, which is now the third largest OS. Nokia abandoned Symbian and partnered with Microsoft to use Windows Phone on its smartphones. Palm was bought by Hewlett-Packard, turned into webOS, and later demised. 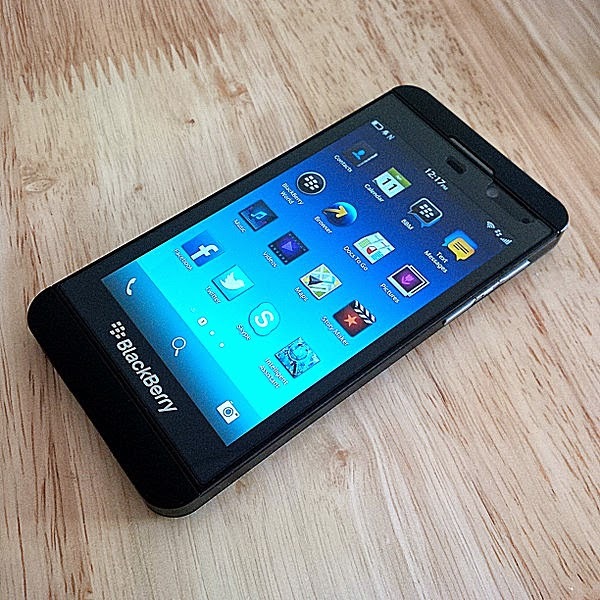 BlackBerry also made a new system from scratch, BlackBerry 10. The iPhone also had a knock-on effect on smartphone form factors. Before 2007 it was common for devices to have a numeric keypad or QWERTY keyboard in either a candybar or sliding form factor. However, by 2010, there were no top-tier smartphones with numeric keypads. As of 2014, BlackBerry Limited – with a 0.6% share of the market in Q4 2013 – is the sole remaining brand of high-end smartphones with physical keyboards. In 2013, the Fairphone company launched its first "socially ethical" smartphone at the London Design Festival to address concerns regarding the sourcing of materials in the manufacturing. In late 2013, QSAlpha commenced production of a smartphone designed entirely around security, encryption and identity protection. In December 2013, the world's first curved-OLED technology smartphones were introduced to the retail market with the sale of the Samsung Galaxy Round and LG G Flex models. Foldable OLED smartphones could be as much as a decade away because of the cost of producing them. There is a relatively high failure rate when producing these screens. 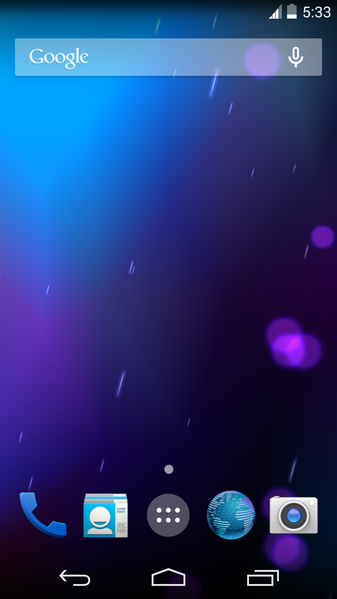 As little as a speck of dust can ruin a screen during production. Creating a battery that can be folded is another hurdle. Samsung fully foldable phones are expected around 2016 to 2017. In 2014, Wi-Fi will continue to become the primary network for smartphones. As these devices do more and more with data and Wi-Fi becomes more prevalent and easier to connect to, Wi-Fi First smartphones service will start to take off. Since 2013, water and dustproofing have made their way into mainstream high end smartphones instead of specialist models with the Sony Xperia Z continuing through the Sony Xperia Z2 and also from other manufacturers with the Samsung Galaxy S5. Android is an open-source platform founded in October 2003 by Andy Rubin and backed by Google, along with major hardware and software developers (such as Intel, HTC, ARM,Motorola and Samsung) that form the Open Handset Alliance. In October 2008, HTC released the HTC Dream, the first phone to use Android. The software suite included on the phone consists of integration with Google's proprietary applications, such as Maps, Calendar, and Gmail, and a full HTML web browser. Android supports the execution of native applications and third-party apps which are available via Google Play, which launched in October 2008 as Android Market. By Q4 2010, Android became the best-selling smartphone platform. In 2007, Apple Inc. introduced the iPhone, one of the first mobile phones to use a multi-touch interface. 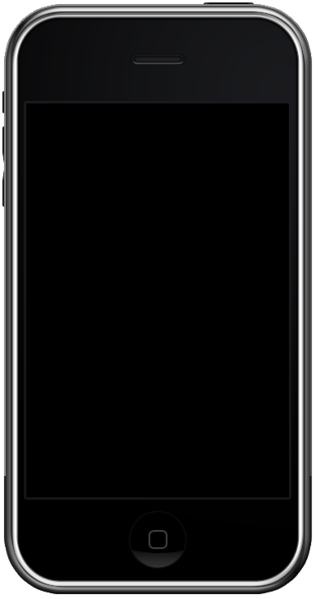 The iPhone was notable for its use of a large touchscreen for direct finger input as its main means of interaction, instead of a stylus, keyboard, or keypad as typical for smartphones at the time. In July 2008, Apple introduced its second generation iPhonewith a much lower list price and 3G support. Simultaneously, they introduced the App Store, which allowed any iPhone to install third-party native applications. Featuring over 500 applications at launch, the App Store eventually achieved 1 billion downloads in the first year, and 15 billion by 2011. In late 2001, Handspring launched their own Springboard GSM phone module with limIn. Early 2002, Handspring released the Palm OS Treo smartphone with both a touch screen and a full keyboard. The Treo had wireless web browsing, email, calendar, a contact organizer and mobile third-party applications that could be downloaded or synced with a computer. Handspring was soon acquired by Palm, which released the Treo 600 and continued, though the series eventually took on Windows Mobile. After buying Palm, Inc, in 2011 Hewlett-Packard (HP) finally discontinued its smartphones and tablets production using webOS which is initial developed by Palm, Inc. Following the success of the App Store, other smartphone manufacturers launched application stores, such as Google's Android Market in October 2008 and RIM's BlackBerry App World in April 2009. In the third quarter of 2012, one billion smartphones were in use worldwide. 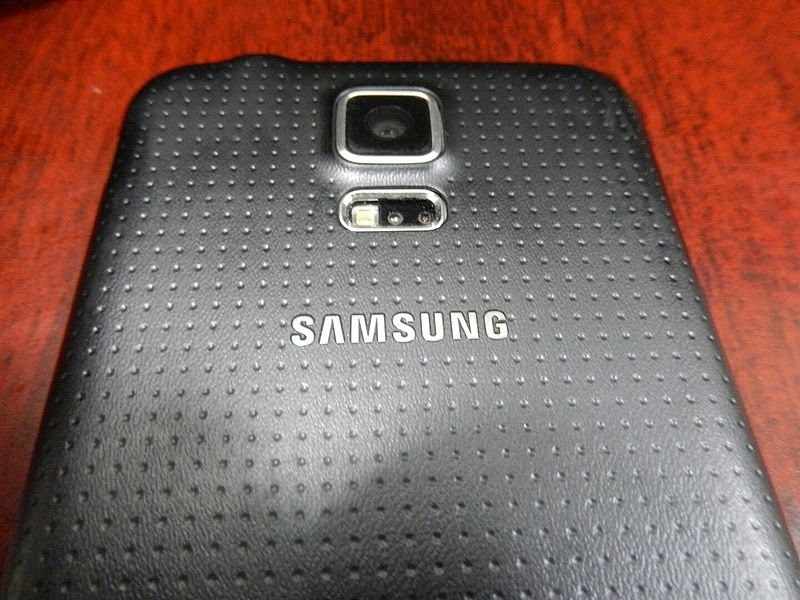 Global smartphone sales surpassed the sales figures for features phones in early 2013. As of 2013, 65 percent U.S. mobile consumers own smartphones. The European mobile device market as of 2013 is 860 million. In China, smartphones represented more than half of all handset shipments in the second quarter of 2012. In 2013, Samsung had 31.3 percent shipment market share, a slight increase from 30.3 percent in 2012, while Apple was at 15.3 percent, a decrease from 18.7 percent in 2012. Huawei, LG and Lenovo were at about 5 percent each, significantly better than 2012 figures, while others had about 40 percent, the same as the previous years figure. Only Apple lost market share, although their shipment volume still increased by 12.9 percent; the rest had significant increases in shipment volumes of 36 to 92 percent. In Q1 of 2014, Samsung had a 31% share and Apple had 16%. 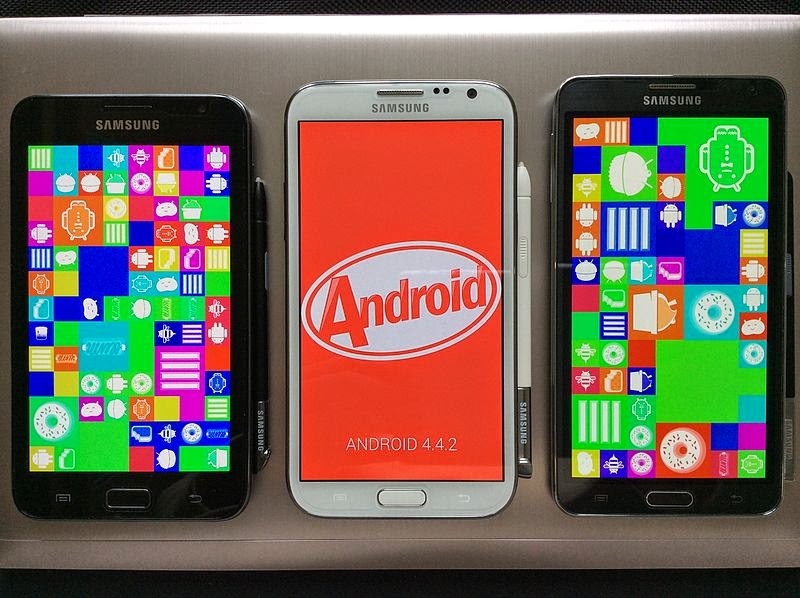 The market has been dominated by the Android operating system since 2010. Android's market share (measured by units shipment) rose from 33.2% in Q4 2011 to 78.1% of the market in Q4 2013. Apple managed to oscillate their market share between 15% to 20.9% during the same period. BlackBerry's market share fell from 14.3% in Q4 2011 to 0.6% in Q4 2013. MS Windows Mobile market share rose from 1.5% to 3% during the same time frame. As of the end of Q2 2014, Android was the most popular operating system, with a 84.7% market share, followed by iOS with 11.7%, Windows Phone with 2.5% and BlackBerry with 0.5%. 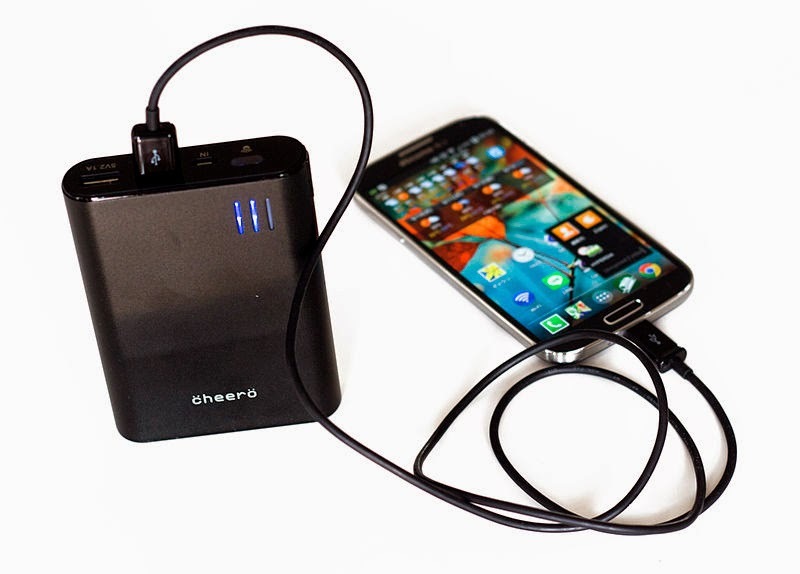 Compared to current generation non-smartphones, smartphone's battery life has generally been poor which has become a significant drain on customer satisfaction. Obtaining the resources required to create smartphones involves the mining of minerals such as coltan, which are toxic to humans and wildlife. Other raw materials, such as oils, copper, plastics, and solvents, have the potential to contaminate both the soil and groundwater. Smartphones also contain toxic chemicals such as lead, bromine, chlorine, mercury, and cadmium. The improper recycling of used smartphones damages the environment. Mobile phones can contain dangerous chemicals such as antimony, cadmium, copper, lead, arsenic, nickel and zinc, which can run off into surrounding water bodies or seep into soil contaminating wildlife and drinking water. The capacitors in electronics use minerals mined in developing countries. Mines in Democratic Republic of the Congo, for example, have been associated with human rights and labor rights violations. Workers, including children, have been forced to work at gunpoint while mining for smartphone materials. The electronics soldering in smartphones require tin, 30% of which comes from the Indonesian islands of Bangka and Belitung. The tin extraction process has been identified as environmentally destructive and, as of September 2013, children are employed in hazardous conditions to extract tin. A University of Southern California study found that the unprotected adolescent sexual activity was more common amongst owners of smartphones. A study conducted by the Rensselaer Polytechnic Institute's (RPI) Lighting Research Center (LRC) concluded that smartphones, or any backlit devices, can seriously affect sleep cycles. With the raise in number of mobile medical apps in the market place, government regulatory agencies raised concerns on the safety of the use of such applications. These concerns were transformed into regulation initiatives world wide with the aim of safeguarding users from untrusted medical advice. Smartphone malware is more easily distributed through application stores that have minimal or no security mechanisms. Often malware is hidden in pirated versions of legitimate apps, which are then distributed through 3rd party app stores. Malware risk also comes from what's known as an "update attack", where a legitimate application is later changed to include a malware component, which users then install when they are notified that the app has been updated. One out of two robberies involve the theft of a mobile phone. An online petition urging that smartphone makers to install kill switches in their devices is underway. In order to minimize the chances of being a victim of theft of mobile devices, there have been several apps created to help those out that may be in a dangerous situation. There are now apps that may aid in personal security by providing immediate assistance. Using smartphones late at night can disturb sleep due to the bright screen light affecting melatonin levels and sleep cycles. Last updated on 9 November 2014 at 11:33.